Are you a fan of Eric Carle? He is definitely one of my favorite authors and illustrators! We love to read his books! We used to live fairly close to his home in Massachusetts….they have a neat museum to explore, if you are ever near Springfield, MA! Today we are going to make an EASY craft for one of his books. 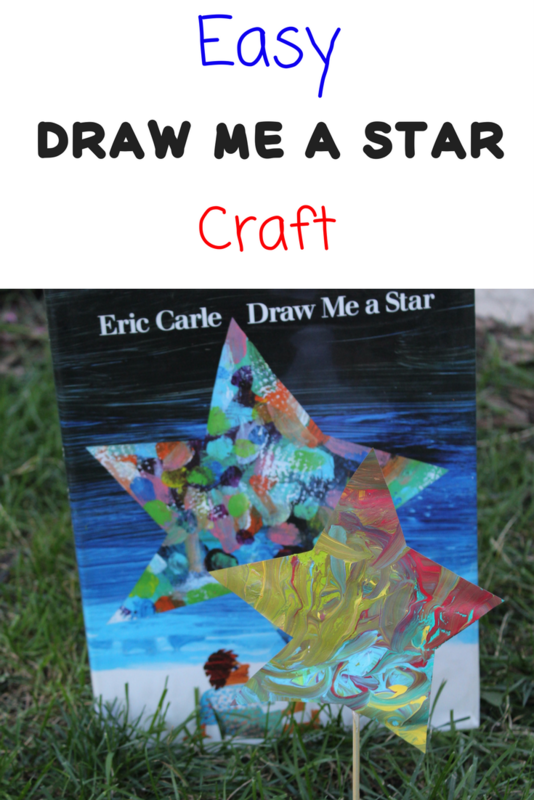 Today we will read the book, Draw Me a Star and make a Draw Me a Start Craft! 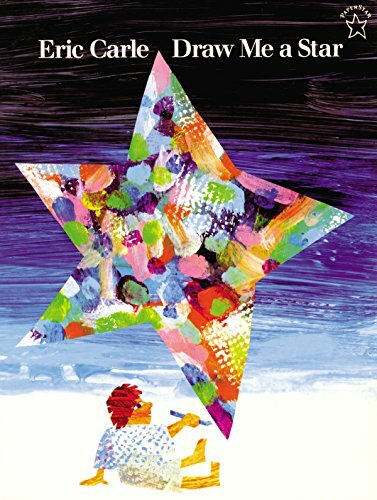 Draw Me a Star is an imaginative book by Eric Carle. In the book, the artist is asked to “Draw Me a Star”… the artist draws a star, and then draws many other things. The reader is taken on a journey into space and beyond. It is a neat book that you can read, and have children participate. They can have clipboards out and they can draw their own little world. The artist draws a man and a woman (although, I find it strange that he draws them without clothes! ), and he draws a house, and a dog, and a cat and a butterfly. The artist also draws the night sky and the moon…(and a star). 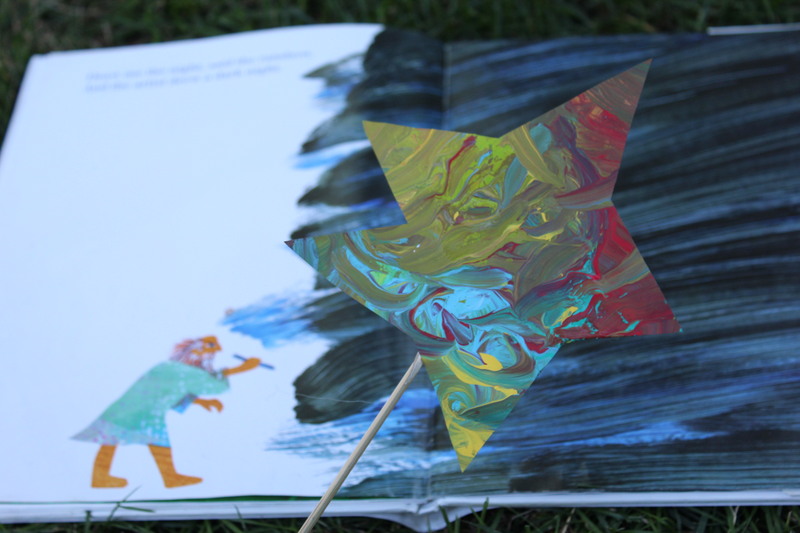 Even if you don’t have children draw their own scenes, you can easily ask them to imagine in their head what each thing looks like and help them imagine going up into the night sky and finding their star. This book would also work well with helping children sequence the order of the things that the artist draws. 1. On a piece of white craft paper, place a few drops of each of your paint colors. 2. Take the paint brush and start to swirl all of the col ors around. You don’t to mix them exactly, but just create a nice colorful swirl on the paper. 3. 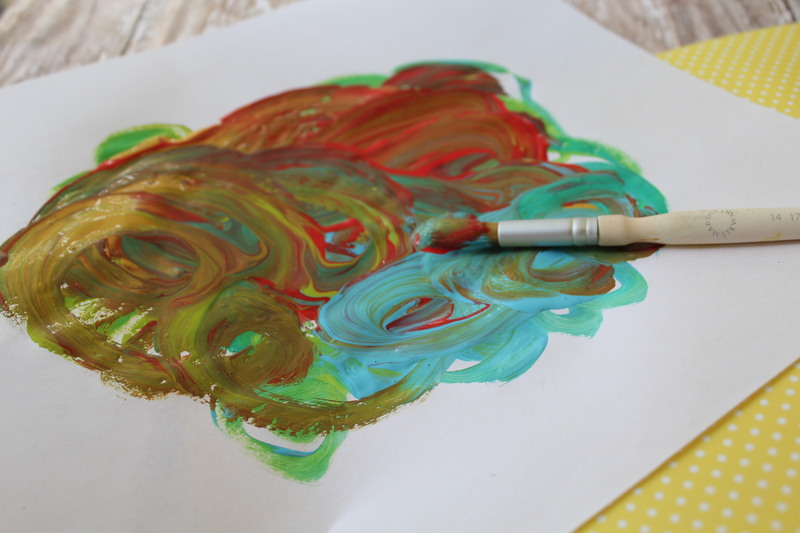 Add more paint if you choose, and continue to create a colorful cloud shape on the paper. Allow the paint to dry well. 4. Once dry, take your scissors and cut out a freehanded star shape. You don’t want the star to be perfect, but more primitive. Just practice on a piece of craft paper first, and once you get the hang of it try it with the painted paper. 5. Add some glue to the end of the wood stick or skewer. Press the painted star to it. Your Draw Me a Star painted star craft is now ready to be displayed!